If you want to do your own patent search online you have arrived at the right place. I will show you all the resources available online for a free patent search. A patents search is a search conducted to find out which patent applications have already been submitted and which patents have been granted, for inventions similar to the one you are thinking of patenting. 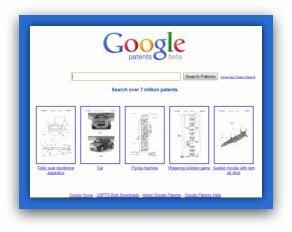 You might also like to learn more about what a patents search is and if you should do a patent search online yourself, or use the help of a professional patent search service. A good resource i always recommend is Nolo's Patent Searching Made Easy book. It's very affordable at 23.99$ for the ebook and 31.99$ for the book, and provides all the information you need to do your own patent search. Let’s start by understanding how to conduct a patent search online. Country owned patent offices’ website – these are the websites of the official patent and intellectual property offices of specific countries that allow you to search their online databases for free. Free patent search engines – these are non government owned online search engines that allow you to search published granted patents. Let’s look at each of these groups, separately. To conduct a Canadian patent search use Canada patent office free patent search engine. Canada patent search allows you to search more than 2,000,000 patent documents for any patents granted in Canada in the last 75 years. The Canadian patent search has a basic search option which allows you to use any terms that correspond with the subject of your invention and you can use both an English search and a French one. The Canadian patent search also has an advance search option, which allows you to search for specific patents, if you know the inventor’s name, the data the patent was granted or many other details. It’s easy and straight forward, no reason not to use Canada’s online free patent search. A European patent search online is done through ‘Espacenet’, the European patent search database, that allows you to do an international patent search on more than 70 million patent documents worldwide. This incredible free patent search engine, allows you to access inventions and technical developments from 1836 to today. Don’t be confused, this patent search database is presented by the European patent office, however, it allows you to conduct an internationalpatent search and see any patents and patent applications from around the world. You can conduct your online free patent search in English, or in any other European language. You can conduct your own US patent search online on the US government patent office website. The US free patent search engine is great and allows you to search for both granted patents and patent applications. Read more on this patent search database. and how to conduct a search, in detail. The Google patents free patent search engine gives you access to US patents in English only. It essentially covers the same patents as those you can find in the United States Patent and Trademark Office free patent search engine . You can search approximately 8 million patents and 3 million patent applications. You can easily read and download the patent documents in the familiar Google format. A great free patent search engine that’s easy to use. 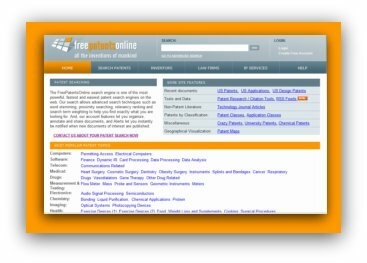 Free Patents Online is a free patent search engine with advanced searching capabilities. It allows you to pinpoint your search on exactly what you are looking for, and is especially helpful for those more complicated searches, that require weighting the different search term differently or ranking them by relevance etc. This search covers both US patents and US patent applications, European patent search, English-language abstracts of Japanese patent applications, World intellectual property organization PCT information and more. The site also has account features that allow you to keep your patent search organized and alert you if new documents in your area of interest are published. Interestingly, the site was established by a former patent searcher who wasn’t satisfied with the service and prices of other providers of patent search services. He had a background in web programming and has created this site himself. In time, others got involved and it has grown into what it is today. They also offer a paid patent search service where you can have a representative do your patent search online, for you. PriorsmArt.com, whose name is a word play on the words “smart” and “prior art” (the legal term for prior inventions in a specific field) is a meta search engine for patents. It lets you search many different sites using a single interface. You choose the words to put in your search and the patent search database from which you want to get results, and the site returns the relevant information. You can choose from more than 60 sites in total, including many national government owned patent search databases. You can also search non government owned patent search engines, including Google’s patent search engine. Patent Lens is another online free patent search engine that allows you to do a worldwide online patent search. This service is open-source and full text, and is provided by Cambia, an independent non-profit institute focused on enabling the creation of new tools and technologies that “promote change and enable innovation”. It supports an online patent search in many languages such as Chinese, English, French, German, Japanese, Korean, Russian and Spanish. In addition to a comprehensive patent search online this website has many cool features like visualizing patent families with graphical trees, research patent landscape for scientific areas, and worldwide patent laws. The many tools provided on this page are all a good starting point to get a feeling for the patent landscape in your invention area. It is good practice to do a patent search online before you set off on patenting your invention. Knowledge is power, and your search results will equip you with the right knowledge to figure out if you should consider abandoning your idea or exploring further. I would recommend, though, that once you have done your patent search online, you should consider getting some professional guidance from a patent attorney, or if you are not sure of the results you received, even a paid patent search service.